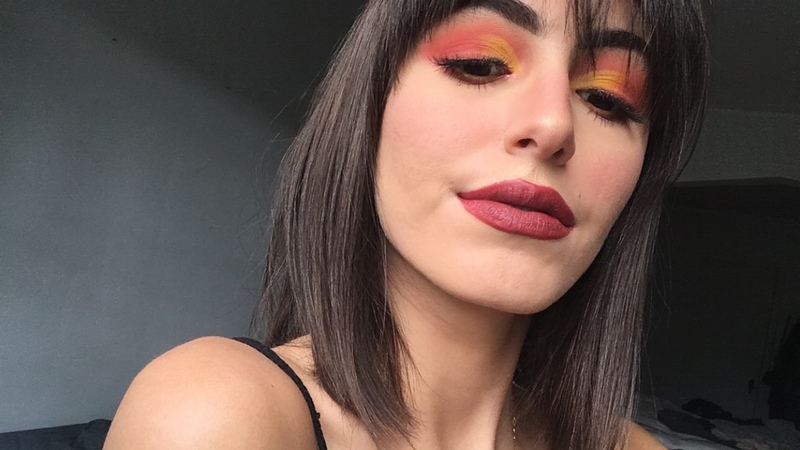 I am back with another Fall makeup look and for this one, the colors are really warm and the eyes remind me a lot of an autumn leaf. I really love the coordination of colors and how the lip color go so well with the eyes. If you want to know how I achieved this look then keep on reading! To create this look I used the Desert Dusk palette by Huda Beauty and single eyeshadow in “Buttercupcake” by Sugarpill Cosmetics. As always, I prime my eyes with concealer then set it. 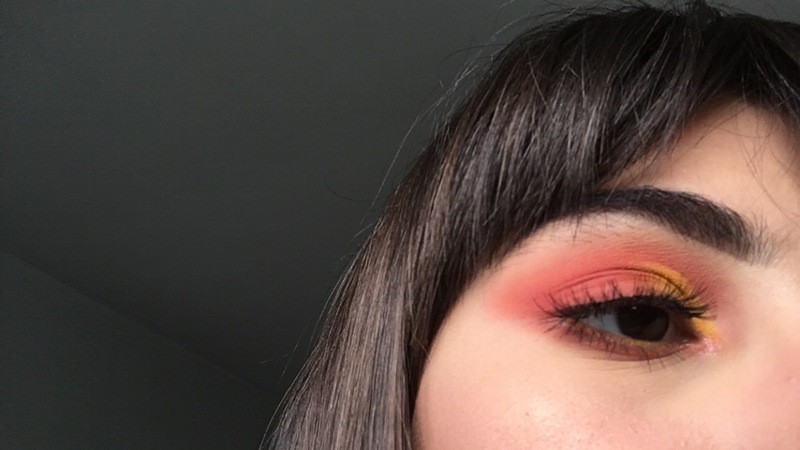 With a more precise brush, I applied “Blazing” on my crease [half way through the eye] and outer V.
To darken my outer V, I applied “Saffron”. Afterwards, I cut my crease with concealer and applied the yellow shade by Sugarpill cosmetics. 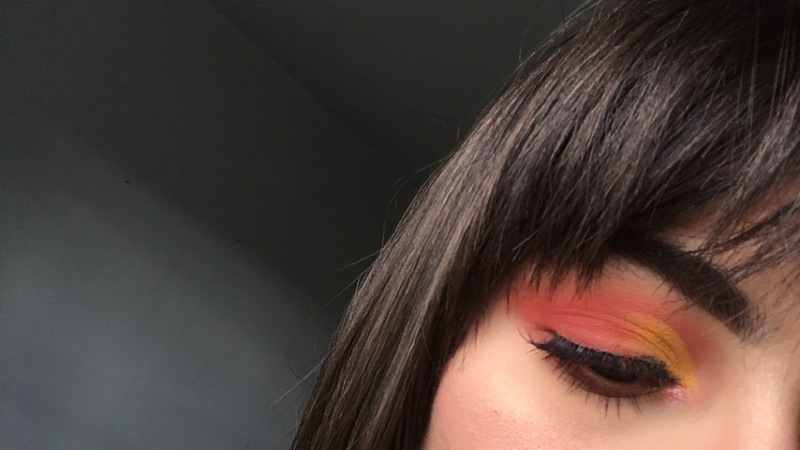 I applied a bit more of “Blazing” to soften the edges of the cut crease. For my lower lash line, I used “Saffron” close to my lash line then “Blazing” and “Eden” to blend it out. I used the yellow shadow in my water line. I also applied “Celestial” on my lower lash line, close to my inner corner. As of fake lashes, I used the Ardel Demi-whispies and for mascara, I used the Perversion Mascara by Urban decay. 10 Makeup Brands I Want To Try in 2019! Aww thank you!! yes me too!! 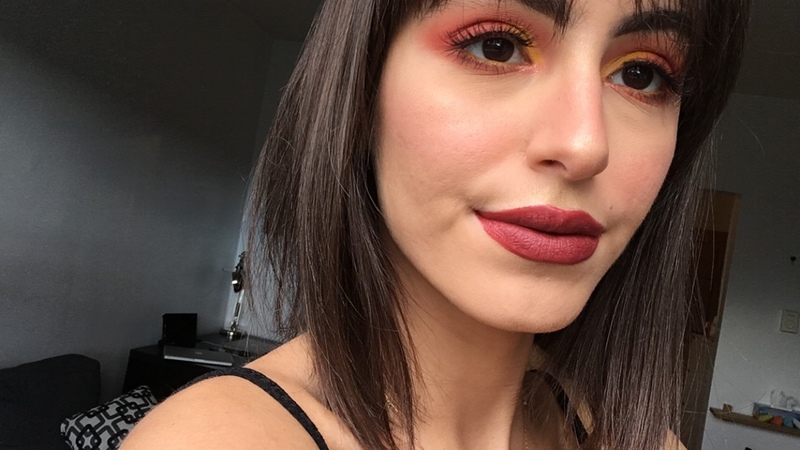 Fall is my favorite season to create makeup looks!! I can’t tell you how much I love this look! It’s so festive for this season! Those shades together are stunning! 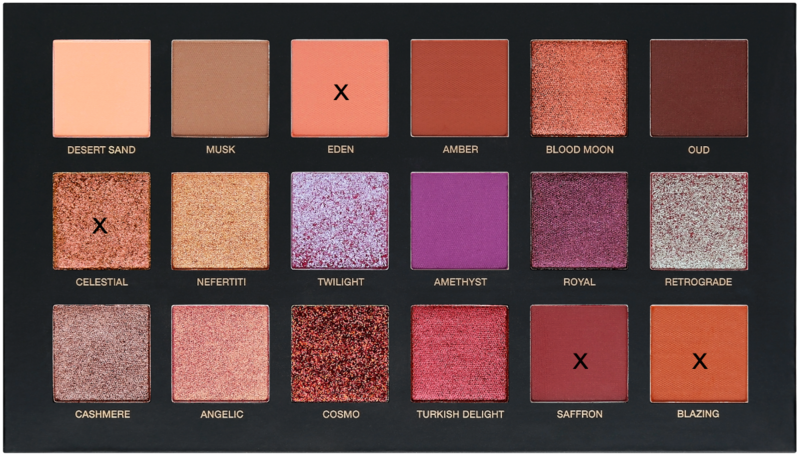 Also the Huda palette is so pretty! Thank you!! yes this palette is amazing!! I love it, it is so versatile!! What a fun and festive look! Thank you!! yes it would be very nice for a concert!! Oh my goodness i love this look! So autumnual too! You’re so talanted! Oh these shades are all so gorgeous! Perfect for fall. Thank you!! yes they are perfect for fall!! Stunning! Love the pop of color! Does anyone ever tell you you look like Anne Hathaway? This is such a gorgeous look! 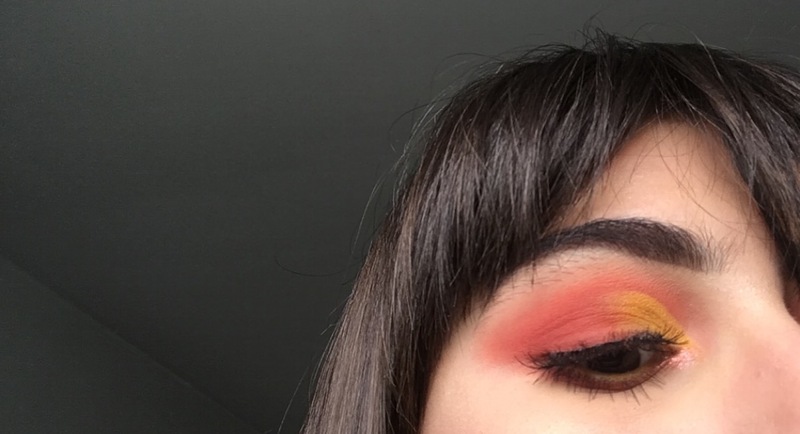 I love yellow eyeshadow! Thank you!! 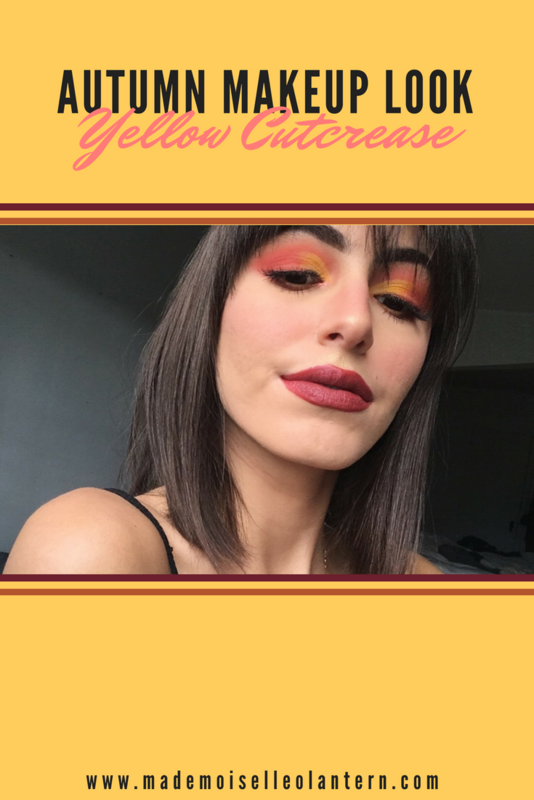 yes yellow eyeshadow is so nice, and I like the fact that you can wear yellow eyeshadow during all seasons!! This looks gorgeous and you definitely suit it! !